Here’s a fishing story about the one that got away, only this time, it was the fishing rod, and it was gone for 65 years. The rod was discovered -- in new condition -- in the walls of an older home that’s now the location of Big Brothers Big Sisters of Pictou County. The refurbished house built back in the 1950's and today, staff is counting money from the group's latest fundraising campaign, called Big Bucks. During house renovations, contractors found a different kind of treasure. The rod looks brand new, rarely used and is in its original wooden case. Sakura fishing rods were first made in 1888 and the company is still in business today. Their vintage rods like this can hook as much as several hundred dollars on the internet. This model even has original documentation. Most intriguing? The name K.T. Copeland is inscribed on the box. Below Copeland's name, it says RCA Band. No one here, has ever heard of him. Staff are intrigued by the mystery, and wonder, given the date, if the Korean war had any role to play with its presence. 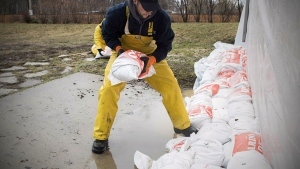 “It was a gift for someone and it got put away and maybe, maybe the person who received it perhaps was no longer there and it just kinda got shoved in a corner somewhere and someone forgot about it,” said volunteer Linda Sangster. Grant Walsh is hoping the owner or the owner's family can get in touch with Big Brothers Big Sisters of Pictou County, to help solve the mystery of the fishing rod in the wall. 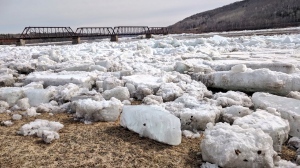 After this story aired on Tuesday, we heard from Ruth Copeland-Brunelle in Charlottetown. K.T. Copeland, or Kenneth Copeland was her dad. He was also an accomplished musician with the Royal Canadian Artillery Band who had travelled all over the world. We'll probably never know why the rod ended up in the wall. We do know however, the home the fishing rod was found in belonged to family friends -- Winston and Mildred Kellock. Copeland-Brunelle remembers visiting them often as a youngster. As for the Japan connection? Copeland was a Korean war veteran who visited Japan when he was overseas. That's where he got the fishing rod. Sadly, Copeland died in 2005, just one month before his 97th birthday. Copeland-Brunelle says the fishing rod is an early Christmas present from heaven. With files from CTV Atlantic’s Dan MacIntosh and Maria Panopalis. 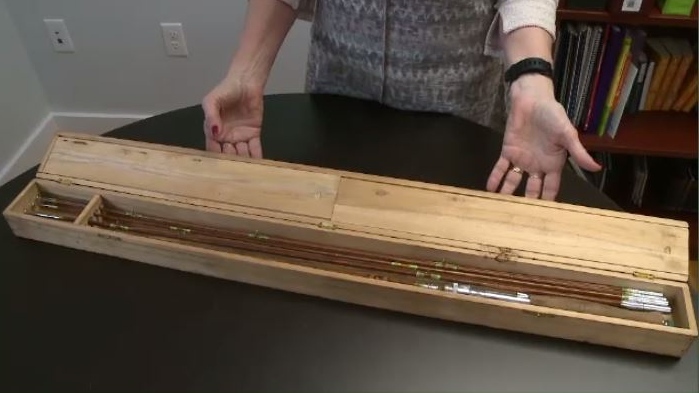 A Japanese bamboo fishing rod from 1953 was found in the walls of a Pictou County house that is being refurbished. The owners are hoping to find the the owner -- or a family member. 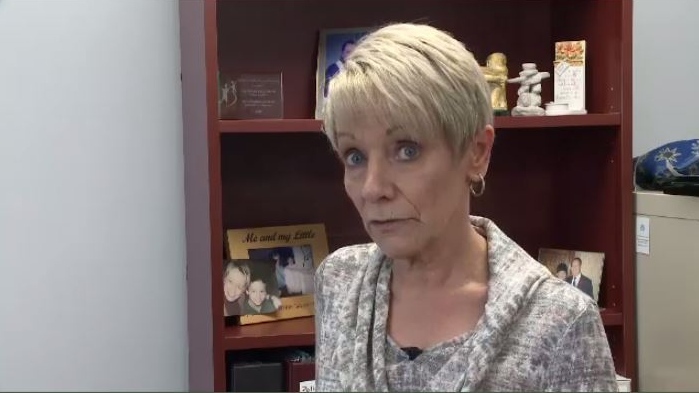 Margie Grant Walsh is hoping the owner, or the owner's family, can get in touch with Big Brothers Big Sisters of Pictou County, to help solve the mystery of the fishing rod in the wall. The rod looks brand new, rarely used and is in its original wooden case. 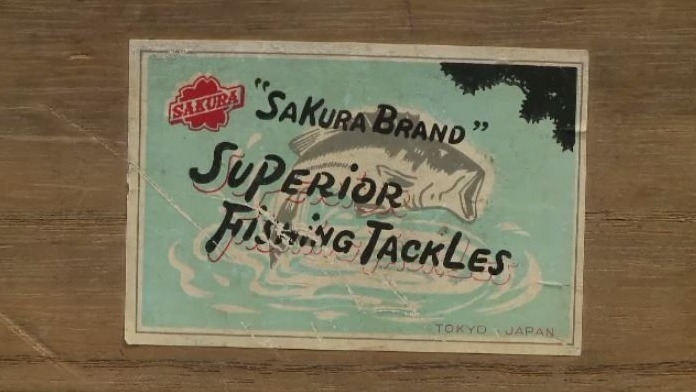 Sakura fishing rods were first made in 1888 and the company is still in business today.